TOYOTA is a curious, and often confusing, company. A few randomly selected highlights, each of which could easily be expanded into detailed essays, help illustrate this. 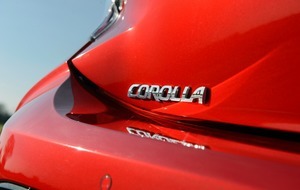 Toyota is a genuine trailblazer - the influence of its 'just-in-time' system of manufacturing is felt well beyond the car industry, for example - and the Corolla is a phenomenon; with well over 40 million examples built, it is the world's best-selling nameplate. The LS400, the first product of its Lexus luxury car division in 1989, was so superior to the German opposition of the time that it arguably shocked BMW, Mercedes-Benz and Audi into changing tack and thus become the companies they are today. Another Lexus, the LFA of 2012, is regarded by the cognoscenti as one of the finest supercars - perhaps the finest - ever built, even though most people have never heard of it. 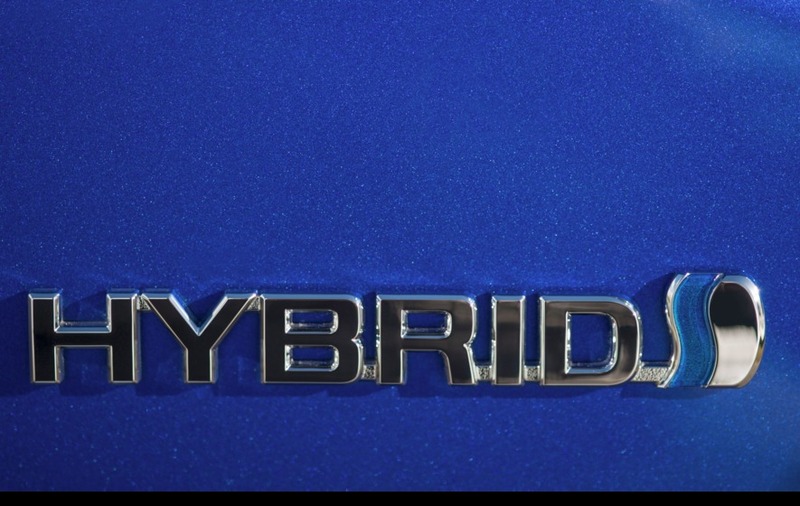 It has led the way with hybrid technology, too. While Volkswagen, its perennial arch-rival for the world's biggest car-maker crown, was cooking up ways to cheat emissions tests, Toyota already had several generations of hybrid technology under its belt. And should you have access to your own hydrogen pump and £66,000, you can already buy a Toyota hydrogen fuel cell car. The GT86 sports car, a co-production with Subaru, is one of the funnest cars on sale today, and the RAV4 is among the best SUVs for family motoring. All of which makes the patchy nature of the Toyota range puzzling. The Auris - it's the company's rival to family hatchbacks like the Volkswagen Golf, Mazda 3 and Ford Focus, in case you've forgotten - might be among the dullest cars on sale today, but it isn't even the most boring Toyota. That honour belongs to the Avensis, which manages to make even the blandest of Volkswagen's retinue - Passat, Tiguan, Touran - seem as exciting as base jumping or white water rafting. OK, maybe that's giving too much credit to VW, but suffice it to say that no-one is ever going to have their pulse raised by a spin in an Auris or Avensis. Unless it is an actual 360, of course. Setting out this sort of context is probably more helpful when it comes to Toyota than most of the other manufacturers that feature on these pages precisely because Japan's largest car company is as capable of creating surprise and delight as it is of underwhelming disappointment. Into this jumbled picture steps the car on this page. Dubbed the C-HR - an acronym for the not-immediately-obvious 'coupe high-rider' - it is Toyota's take on a small SUV, and pitched against cars like the Audi Q2 and Mini Countryman. Happily, the C-HR is more GT86 and less Auris. This is not just a very good Toyota, but also a very good car. It would need to be, I can hear you saying, if the price tag is anything to go by. The test car was nudging £30k, though the range starts at just over £21,000. This means the little Toyota is fishing deep in waters occupied by the Q2 and Countryman, and you could hook a BMW X1 for similar cash. The days when a small car meant also meant a small price tag are well and truly over. It says much for the C-HR's qualities that it can indeed be considered a worthy alternative to such premium rivals. Style is important in this sector, and while the C-HR won't be everyone's cup of tea, it is a striking, distinctive shape. Futuristic, even. The interior, too, is a leap forward from Toyota's traditionally reserved approach, with a diamond motif, lots of texture changes and an unusual purple-blue colour scheme for the trim highlights competing for attention. The dashboard itself is clearly laid out, and everything feels robust and well screwed together from quality materials. The seats in 'my' car, for example, were trimmed in some very soft, very nice leather, backing up the C-HR's upmarket pitch. There are roomier SUVs both in terms of back-seat space and luggage room, and the C-HR cabin is very much focused around the driver and the front-seat passenger. A well screwed together Toyota is nothing new, but it is some time since we have had a Toyota this pleasant to drive, GT86 excepted. The steering manages to be light but to also have bite and feel, the chassis grips gamely and body roll is minimal; together, this helps the C-HR do a passable impersonation of a Mini, which is high praise. 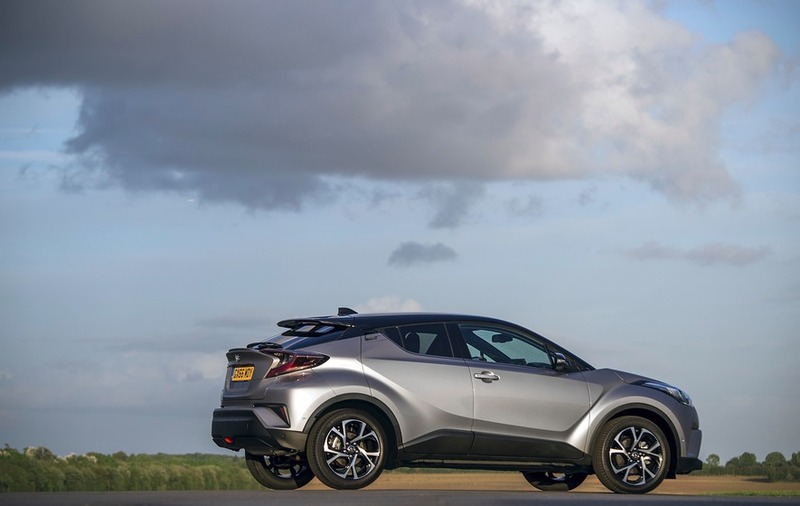 C-HR drivetrains include a 120bhp hybrid system, which pairs a 1.8-litre engine with an electric motor and batteries, for strong economy and low car tax-friendly CO2 emissions of 86g/km. Whether you get close to its combined fuel consumption figure of 74.3mpg will depend much on your style of driving and how often you can coast along in EV mode. As is Toyota's way, the hybrid uses an automatic continuously variable transmission, or CVT, system rather than a conventional automatic or manual gearbox. 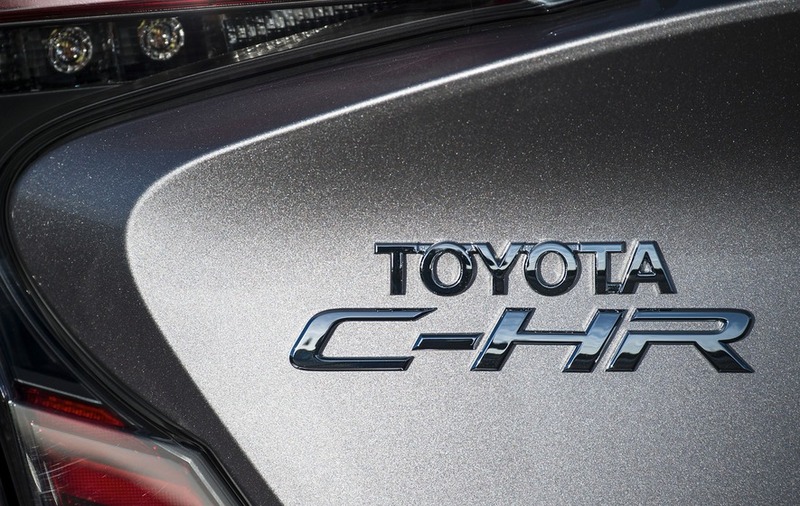 A little 1.2-litre four-cylinder turbo petrol is your other C-HR engine choice. 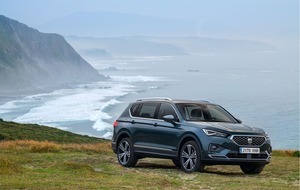 Where the hybrid is CVT- and front-drive-only, the 1.2-litre can be had with CVT or a six-speed manual and with all-wheel-drive as well as front-wheel-drive. This is a cracking little engine - it's also impressed in the Auris - and it is smooth and offers far more shove than its modest capacity would lead you to think. Drive the C-HR in the way this engine, especially when twinned with four-wheel-drive, encourages you, and the fuel economy suffers... but it can be a lot of fun. That quality gives the stylish, futuristic Toyota an appeal that is otherwise in short supply in the company's current range. Nice to drive and with a solid impression of quality, the C-HR is easy to recommend. Yes, the price tag might seem steep if you are thinking of it as little more than a sleeker alternative to a Auris. But the C-HR is more than that - it really is a rival to the posher small German SUVs and the Mini, with the added twist of hybrid and four-wheel-drive options. Toyota still has a rather inconsistent range but the C-HR is, thankfully, consistently good.